Supporting Clinica Esperanza's mission to provide quality healthcare to the people of Roatan. We are a Christian-oriented, non-denominational, non-profit organization dedicated to the premise that healthcare is a basic human right. It is our commitment to provide an environment where the best possible healthcare can be provided, with educational opportunities for both the people we serve and the local healthcare providers. We are also committed to assisting healthcare professionals and others that wish to donate their money, time, expertise, medications and supplies to further the improvement of healthcare available to the people of the Bay Islands of Honduras. Vision: To have the best possible coverage of medical resources in the communities of the Bay Islands of Honduras. The Bay Islands Community Healthcare Association supports quality medical care in the Bay Islands. 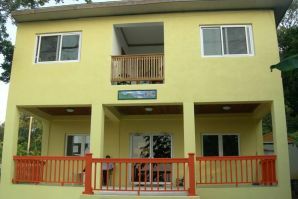 BICHA supports the work of Clinica Esperanza on Roatan. Your donations are used to support the programs such as a walk in clinic, women and children’s health, dental care and community outreach. We help fund medical supplies; construction of treatment facilities; salaries for clinic doctors, nurses and staff; and other related projects. We also support joint medical missions with community partners that further the goal of supporting quality healthcare throughout the Bay Islands. Created in July 2008 as a non-profit in Pennsylvania, this corporation is organized and operated exclusively for charitable purposes within the meaning of the 501c3 of the Internal Revenue Code. Donations and contributions are tax deductible as allowable by law.The use of all disbursed funds are reviewed by our board and volunteers to make sure that the use complies with our mission and with all of the restrictions of a 501c3 status.